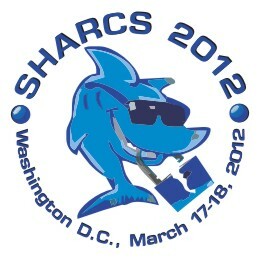 SHARCS 2012 will be held at the Washington Marriott Hotel at 1221 22nd Street NW in Washington, DC, USA, the same location as FSE 2012 and the Third SHA-3 Candidate Conference. The workshop sessions will be held in the West End Ballroom, Combined Rooms C and D.
Attendees are advised to also check standard booking sites such as booking.com and hotels.com. These sites sometimes have better rates than special conference rates. Rates for the Marriott have been reported as low as $139/night. There are three airports around Washington: DCA (Reagan National), IAD (Washington Dulles), and BWI (Baltimore/Maryland). DCA is closest but does not have international flights. The Wikitravel page on Washington is reasonably up to date. See the AppliedCrypto 2010 web pages for general advice regarding United States visas. Dupont Circle Metro Station (Red Line) - 0.3 miles away. Foggy Bottom Metro Station (Blue Line) - 0.4 miles away. See http://www.wmata.com/rail/maps/map.cfm for a map of the D.C. metro system. Printable maps in 11 languages are available at http://www.wmata.com/rail/maps/print_map.cfm. This is version 2012.03.16 of the travel.html web page.